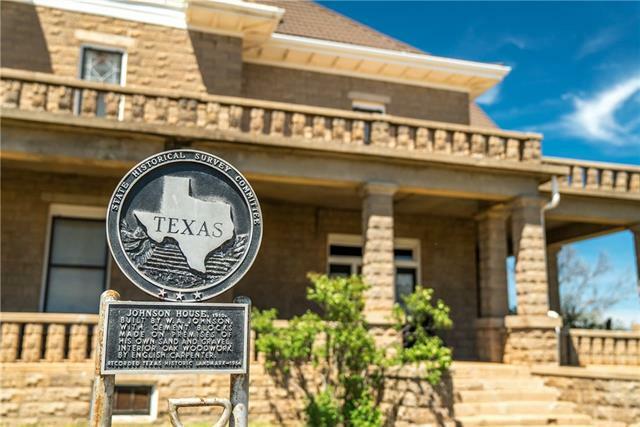 "Johnson Ranch presents a unique opportunity to own a piece of Texas history & 97% of the PRODUCING mineral rights on this 3,802 ac ranch w multiple revenue streams - mineral, wind, cattle, hunting, agricultural. Scurry County is the historically highest oil producing county in Texas. Area drilling has recently discovered reserves at 8k'. This is a hunter's paradise, entirely high fenced perimeter ensures an incredible amount of deer, quail, ducks & turkey. 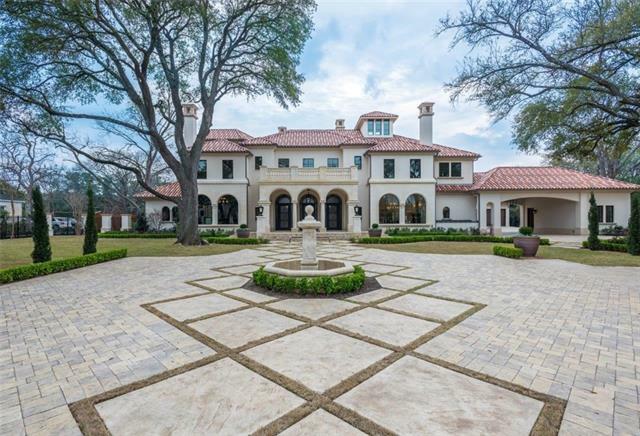 3 water wells, 2 tanks & 6k SF barn w k"
"Beautifully positioned on .96 acre in prestigious Highland Park, this meticulously crafted estate was created by 3 of the most esteemed professionals in Texas - architect Robbie Fusch, builder John Sebastian and landscape architect Harold Leidner. No expense was spared. Numerous features include 3 stories with elevator, wine grotto w tasting area, safe rm, paneled library w coffered ceiling, virtual golf rm , casita and gym. The master wing includes living rm, loggia w FP, dual baths & 2 incr"
"Home is 3460 sq. ft. with 3 bedrooms, 3.5 full baths with a 725 sq. ft., 2 car garage, 1200 ft. of porches, and a 220 sq. ft. wood pergola to watch the sunset and see the large tank right down from the house. The guest house was built in 1950, completely remodeled, 1800 sq. ft. home that is 3bed, 2bath with large kitchen and 2 living areas. Three rotational pastures for cattle or cultivation- 43 Acres, 25 Acres and 20 Acres, all with improved grasses and 117 acres of recreational land for hunt"
"An amazing masterpiece that seamlessly blends the old world artistry & craftsmanship of an architecturally significant & historical 1928 Hal Thomson home with the modern conveniences & amenities of new construction. Completed by Clowdus Construction and Larson & Pedigo Architects in 2013, this incredible 3 year project expanded & rebuilt the original home with no expense spared & every attention to detail taken. Glimpse of details: tile & stone surfaces from Italy, Portugal & Mexico, Vermont sl"
"This exquisite Highland Park custom home, designed by Stocker Hoesterey Montenegro Architects, impresses in every meticulous detail. Sited on an elevated 0.636 acre lot, the grounds feel both expansive & secluded with a private gated driveway & pristine landscaping. 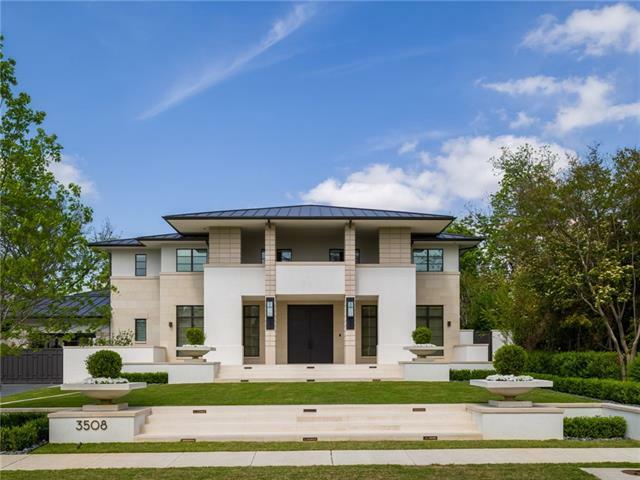 Throughout the home you will find Venetian plaster walls & ceilings, limestone & wood floors, Brombal steel doors & windows, Lutron lights & prewired window shades, & Savant audio system. 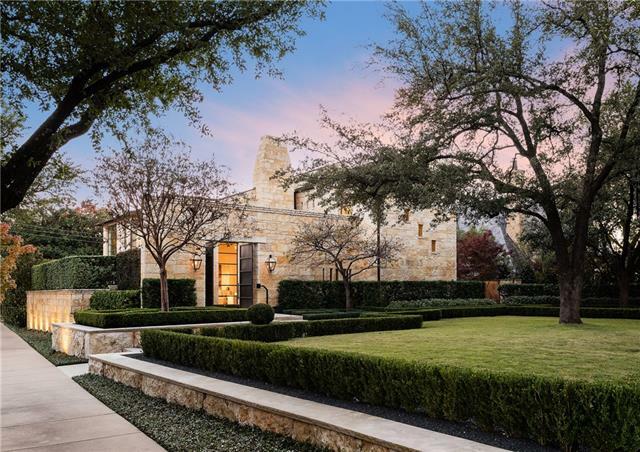 The chef s kitchen has custom Bulthaup cabi"
"Majestic trees tower over more than one & a half acres of green space & an estate that marks entry to the Town of Highland Park. 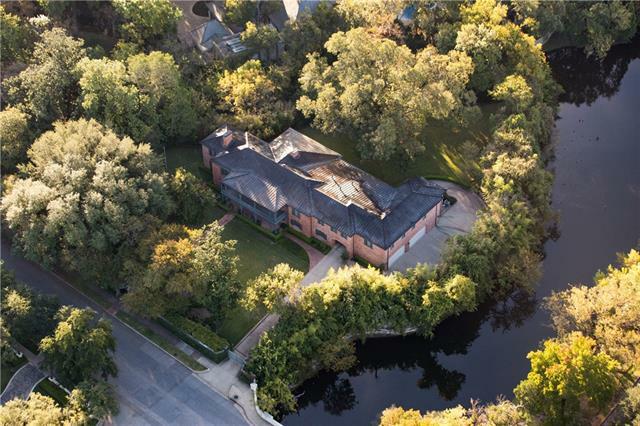 For the first time in over a century, this coveted setting next to legendary Turtle Creek and Hackberry Creek is offered on the residential market. 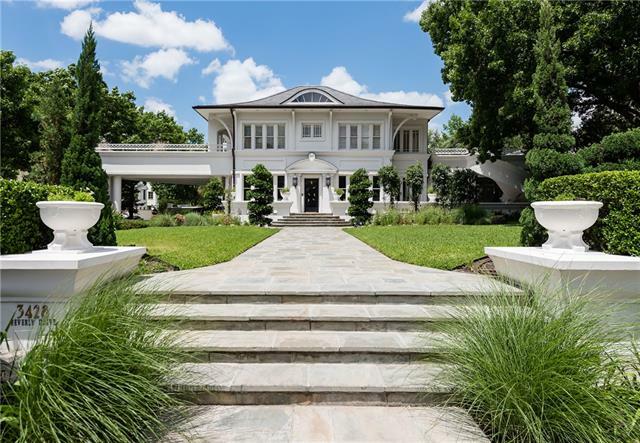 Traditional in appeal, the 8,331 square foot home hallmark is the custom wrought iron balustrade, framing the front entry and veranda. The paneled kitchen is equipped as an estate should be. 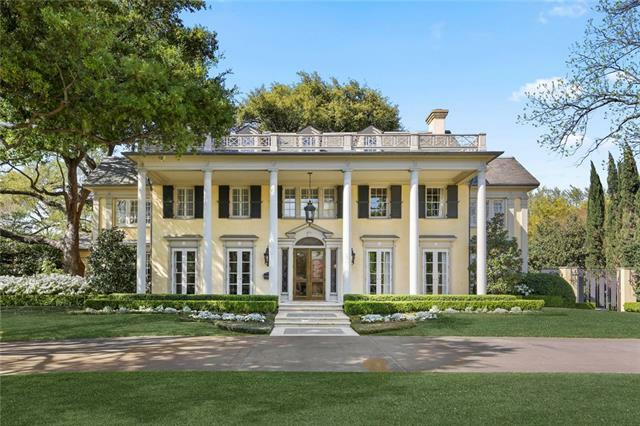 Luxury living continues on the s"
"One of the most distinguished architectural homes in Dallas located on one of the most prestigious streets in Highland Park, Beverly Drive. This estate on a corner lot with 0.83 acres, designed by Hal Thompson, has beautiful views out of every window. Gourmet kitchen designed for large parties. House can hold over 100 people for seated dinners. Look forward to seeing the theater, wine cellar with dining room, and exercise room on lower level. 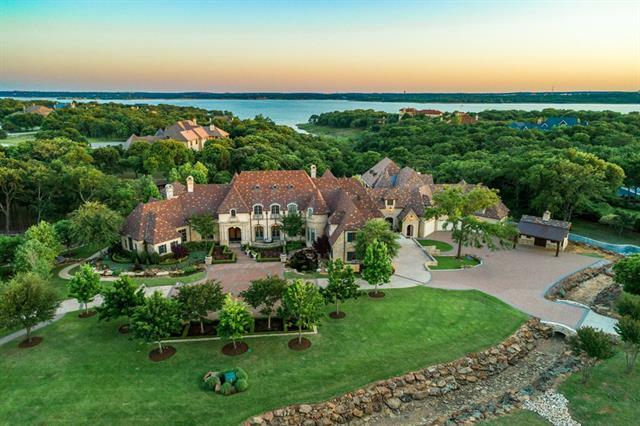 Wonderful guest house has grand ballroom with wet ba"
"Hidden on the heavily timbered shores of Grapevine Lake in Flower Mound is a secluded estate that offers tremendous privacy, security, and yet convenience to the airport which is 15 minutes away! 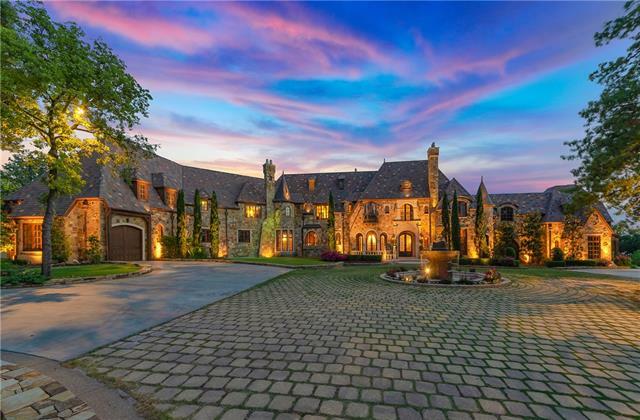 Featuring the most majestic views available, this unique estate lies on 10 wooded acres. The main house exceeding 19,000 sqft. and the three bedroom guest house separated by two swimming pools, this is truly a resort lifestyle offering unending entertainment options and amenities." 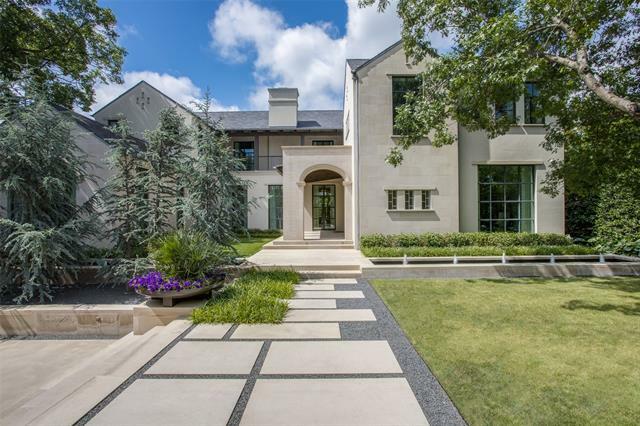 "Transitional masterpiece, located on prestigious Beverly Dr is a designer s show place. Meticulously completed with luxury finishes and sophisticated details throughout. Beautifully designed kitchen flows into the casual dining,open to the family room with stackable, sliding doors that bring the outdoors in, courtyard has phantom screens and radiant ceiling heaters.Spectacular features include,phantom lift to basement, 8 car garage or a multi purpose space. The master bath offers spa like feat"
"Historical Neoclassical Estate on the prestigious Beverly Drive with .84 acres. 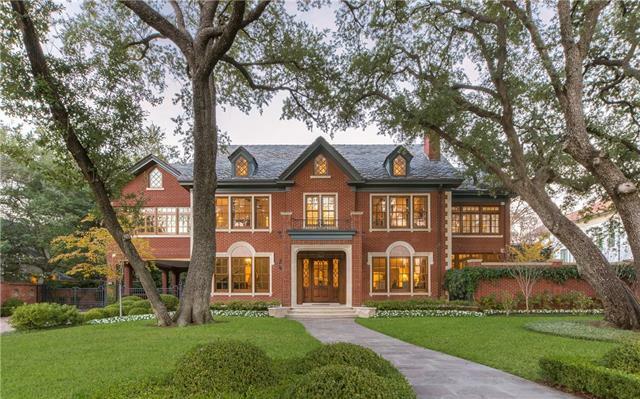 This Hal Thompson treasure, built in 1922 and updated in 2000 was designed for entertaining. 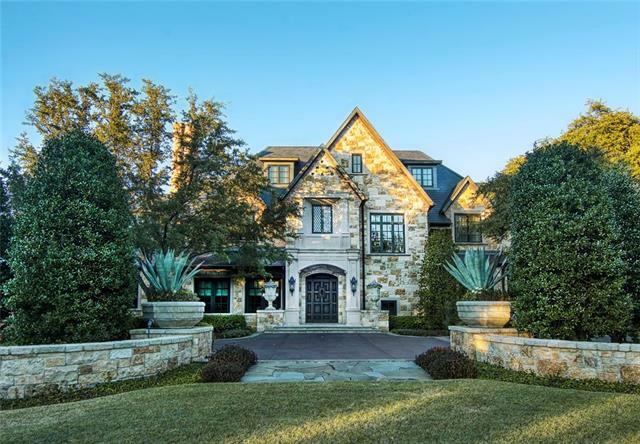 The estate boast gorgeous formals with fireplaces, a card room, two offices, a wine room and wet bar. The spacious kitchen with double islands and breakfast bar opens to the family room with beamed ceilings and French doors overlooking the pool and backyard. 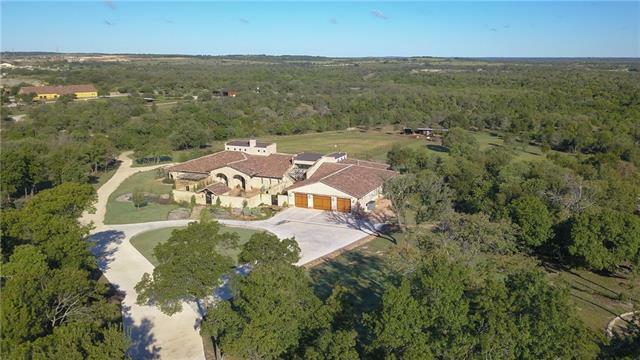 One of a kind amenities include the pool Cabana, Outdoor Kitchen wit"
"Sophisticated estate home on 4.7 acres in Carroll ISD built by Michael Kindred. This home has dramatic features & finishes throughout from the curved floating staircase finished in glass & stone to the exquisite chandeliers & customized his & hers offices. Designed for entertaining, an incredible game room houses an elegant wet bar, tiered media room, dual lane bowling alley, lounge & gaming tables. Multiple outdoor patios function well for small & large events. 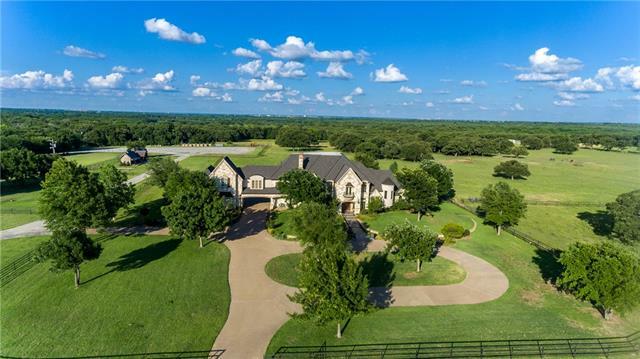 Impressive athletic features incl"
"Discover tranquility in this 8.34 acre estate in the gated community of Chateau Du Lac, walking distance to Grapevine Lake. Home boasts 10 car garage, gated entry, pond & well house with mill. Interior features marble flooring, scraped wood floors, floating staircases, 6 custom fireplaces, cathedral ceilings with exposed beams. 6 living areas. Wine cellar*Tasting room*Wet bar*Balcony*Ground level veranda. 2 kitchens with commercial grade appliances, granite counter tops, island, gas cook top, po"
"One of the most beautiful Georgian estates in Highland Park. 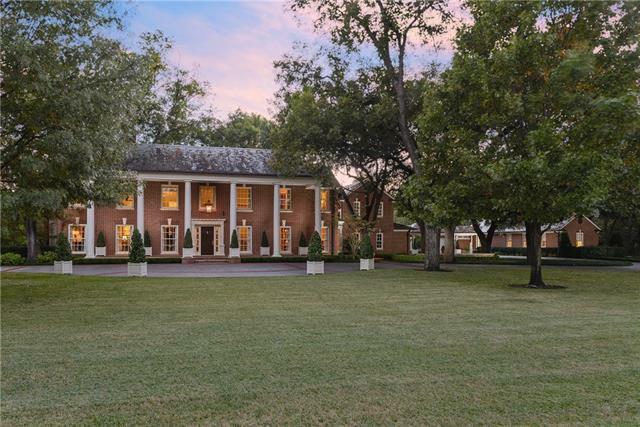 This stately home sits on just under an acre. Perfect for entertaining and family living. Formals, library, sunroom,gourmet kitchen,2 butlers pantries,3rdfl. complete with lg. off season closet,family room,bedroom and bath. Lovely grounds with terrace,outdoor living area includes a grilling area & FP. Pool,guest house & yard complete this outstanding property." 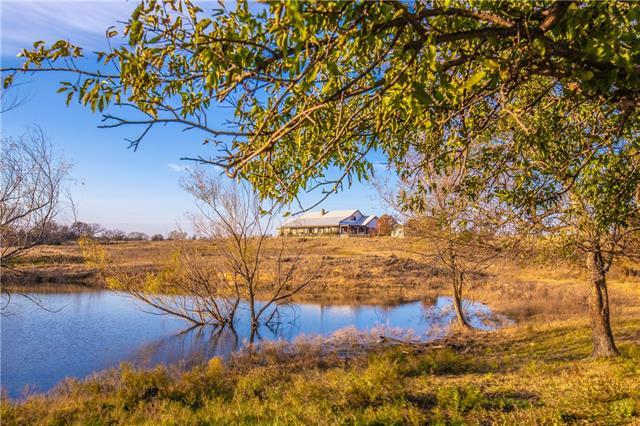 "Rolling hills, stocked ponds, pastures, mature trees, and livestock make this idyllic Texas setting the perfect location for future development, private estate, corporate retreat or any number of uses. 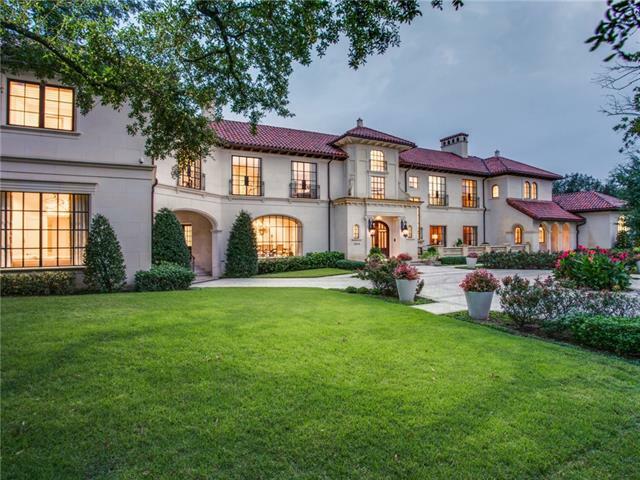 Exceptional Opportunity to own approximately 219 scenic acres in the DFW Metroplex. Located just outside Mansfield City limits. The possibilities for future use and development are endless. Currently, the property boasts a breathtaking 7200 sq ft private residence. Preliminary plot approval fo"
"Turnkey luxury awaits on Beverly Drive! 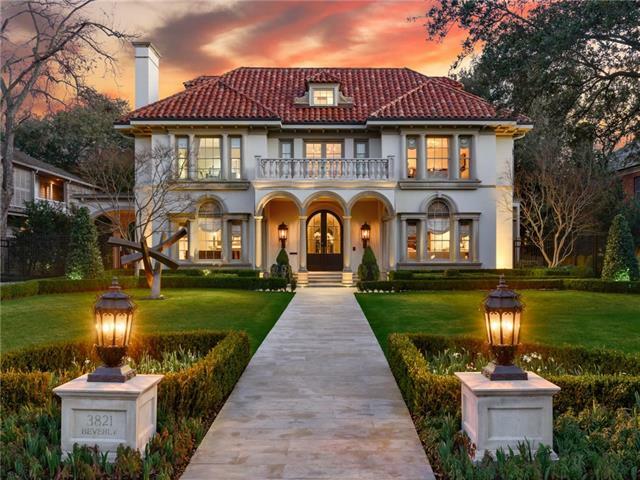 The stunning Highland Park estate is lined with soft, beautiful archways, the finest of finishes, custom detail work and gracious rooms for entertaining even the grandest of celebrations. The Poggenpohl gourmet chef s kitchen is an architectural stunner with a sleek white marble waterfall island and beautiful nut tree teak custom cabinetry with Wolf and SubZero appliances. 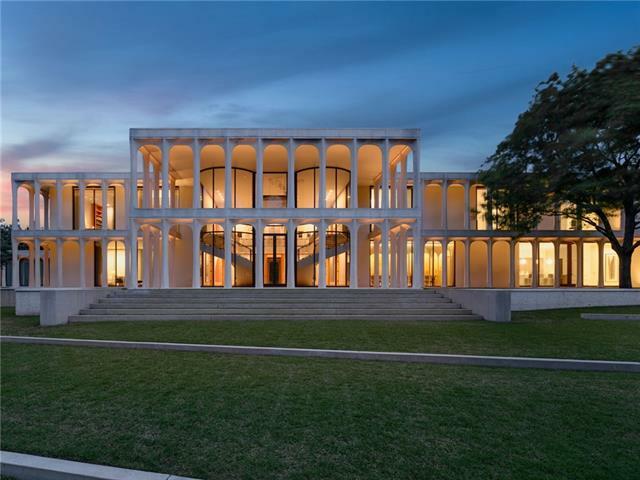 Step up the stately grand staircase to find the light-filled master retreat with s"
"A one of a kind Frank Lloyd Wright inspired custom new modern estate situated in the coveted Old Highland Park neighborhood. An incredible architectural design is meticulously completed with luxury finishes and sophisticated details throughout. Spectacular features include Porsche Design Studio lighting with an extreme Crestron control system, Ornare custom cabinetry, gourmet chefs kitchen, amazing living and entertaining spaces on all 3 levels, exquisite oversized master suite including spa lik"
"Situated on one of Highland Park s most desirable streets & designed by David Stocker of SHM Architects, this architectural contemporary stunner is nestled on an 89 -wide corner lot. Showcases Leuders limestone & Calacatta Gold marble, rift & quartersawn white oak plank hardwoods, custom steel & glass windows, vaulted Douglas Fir plank ceilings, spectacular chandeliers & lighting, sleek oversized dining & great rooms, state-of-the-art culinary kitchen with book-matched marble & professional "